This is to be expected given the uses for each machine. Since the Commercial 2950 is designed for runners, this extra length is perfect for taller users or those with a longer stride. The x22i Incline Trainer is instead designed for walking at extreme inclines. NordicTrack Commercial x22i Incline Trainer. Click to read our full review. That being said, the Commercial 2950 does have folding capability with NordicTrack’s Easy Assist system. If you reside in a smaller living space this could be an awesome feature. It is also a bonus if you have small children at home. Putting the machine away when it’s not in use helps prevent accidents from happening. When it comes to impact, it is necessary to note that these machines are not meant to be used in the same way. 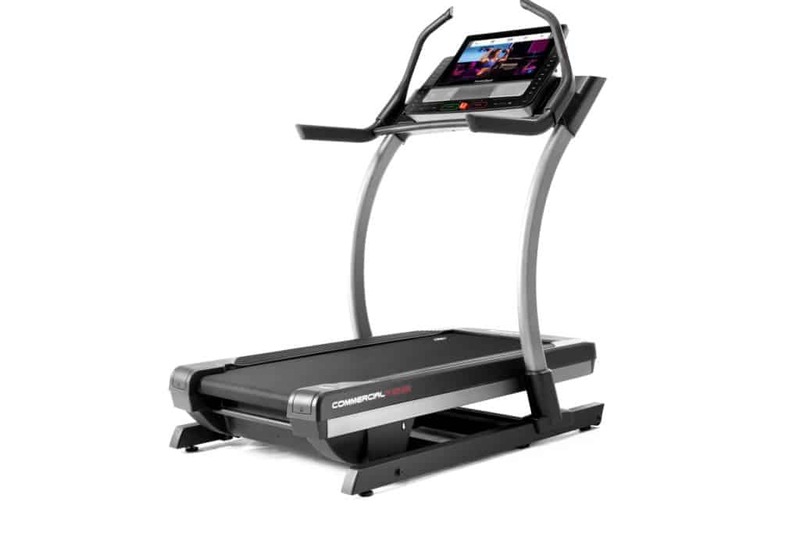 The Commercial 2950 is a treadmill that can really put in the miles pounding the “pavement”. However, the x22i Incline Trainer is going to provide you with an intense workout without any of the impact to your joints. If low impact is a must-have for your workout regimen, you can’t beat the Incline Trainer. Even though the Commercial 2950 is built for avid runners, the x22i Incline Trainer can give it a run for its money. Both of these machines boast a 4.25 CHP motor, which is powerful enough to keep up no matter how many miles you’re putting in. They also both have a top speed of 12 mph, so you don’t need to worry about your machine not being able to keep up. The incline and decline on the x22i Incline Trainer give you the ability to get a fantastic workout just from walking, which is what it is designed to do. For that reason, the best running workout battle has to go to the machine that is built with runners in mind. 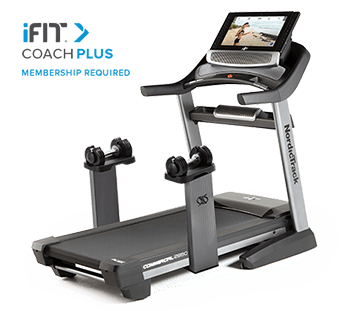 iFit Coach Plus on the NordicTrack Commercial 2950 – Read our full review here. This is a category that is ruled by the incline! The extreme 40% incline and -6% decline on the x22i Incline Trainer really make it possible to work a wider variety of muscle groups. The Commercial 2950 offers a 15% incline and 3% decline, which is impressive when compared to other treadmills. However, when it comes to working your muscles, more really is better…and the x22i Incline Trainer has it. Technology is one department where these two machines put the competition to shame. Each of them boasts a huge 22” Smart HD Touchscreen, the largest we’ve seen on the market. This allows each machine to provide an immersive experience when you are using the iFit technology. Both the Commercial 2950 and the x22i Incline Trainer are iFit ready, which means you have a world of exercise possibilities at your fingertips. 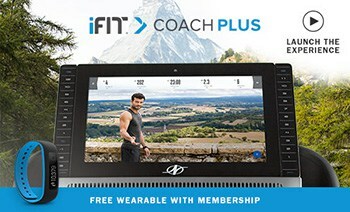 Remember that iFit is a paid subscription service, so there is an annual membership fee associated with these awesome perks. Access to custom designed workouts based around your individual goals – Whether you want to lose weight or train for a marathon, you can find workouts right for you. Plus, your workouts can be led by a celebrity trainer, like Jillian Michaels, guaranteed to keep you motivated along the way. These workouts are progressive and will help you toward your goals step by step over the course of several weeks. Online Community – Share your stats online through your iFit account and keep track of your progress. You can also interact with other iFit users in challenges to help keep you motivated and working hard. Sync with Google Maps – Bring the outside inside. Through their partnership with Google Maps, NordicTrack allows you to choose routes and then simulates the terrain and road conditions to make it feel as though you’re really there. Get that “real road” feel without having to leave the comfort of your own home. Take Your Workout Around the World – Why stay in your living room when your workout could be anywhere you want? With an extensive library of virtual workouts, NordicTrack allows you to choose from hiking trails and beachfront scenery when you hop on your machine. Your machine will simulate the terrain to give you a fully engaging experience no matter where you feel like going. If you aren’t going to be paying for the iFit subscription you can still find some excellent workout options in the preprogrammed workouts on each machine. The Commercial 2950 provides you with 40 exercise routines at the touch of a button. This is impressive compared to other brands, but the x22i Incline Trainer ups the ante with 44 workouts already available. Having those additional options if you don’t want to pay for a subscription service is a nice option. Preprogrammed workouts help keep your routine feeling fresh and fun to keep boredom at bay. Let’s just be honest, both of these machines are built with comfort and ease of use in mind. Nordictrack makes it easy to hop on your machine and do exactly what you want to do. Both machines feature OneTouch Controls and technology options that provide you with the things you are looking for. Getting an effective cardio workout isn’t just about your machine, it’s about you. Either one of these machines will provide you with the cardio your body needs as long as you are putting in the work. However, this is another category where incline gives a slight advantage. Whether you are walking or running, an incline is going to force your body to work harder. This means burning more calories, getting your muscles firing and your heart pumping. Now that we’ve taken a closer look at the features for each of these machines, it’s up to you! Use the information above to help you decide which machine will work best for your needs. If you still need a little direction read out full reviews of the NordicTrack Commercial 2950 and x22i Incline Trainer for a more in-depth look. Learn more about our top rated treadmills on our Best Buy Treadmills page.